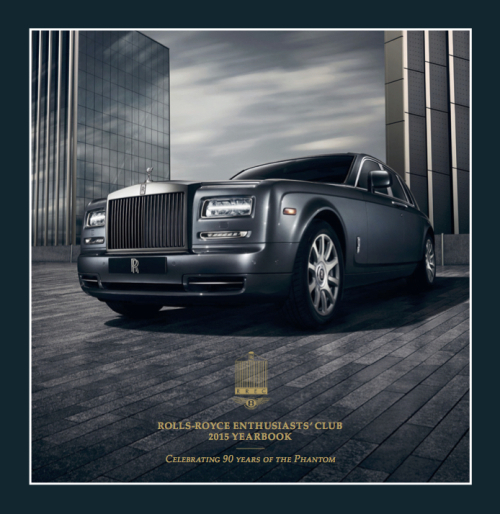 The RREC’s newest publication Rolls-Royce Enthusiasts’ Club 2015 Yearbook: Celebrating 90 Years of the Phantom was launched at London’s prestigious Dorchester Hotel last week at a VIP champagne reception. London, UK, December 11, 2014 – Attended by more than 500 club members and VIPs, including special guest host Quentin Willson (TV presenter, motoring journalist and author), the launch of Rolls-Royce Enthusiasts’ Club 2015 Yearbook: Celebrating 90 Years of the Phantom took place in the Grand Ballroom at the Dorchester Hotel in central London. Written by a collection of Rolls-Royce experts and motoring journalists, the beautifully designed, 444-page hardback publication explores the origins and heritage of one of Rolls-Royce’s most revered motor-car models – the Phantom – and delves into the stories and personalities that go to make the marque “the best car in the world” to this day. In keeping with the event’s luxurious setting, a 1931 Rolls-Royce Phantom II Continental was on display in the Ballroom to greet guests, who were then invited to enjoy a champagne and canapé reception. Sarco Architects Costa Rica is honoured to have participated as a company featured in this exemplary book, and to communicate our story of how we provide high-end modern design in luxury vacation homes in Costa Rica.